Bali Hai Cruise is one of best way to discover the breathtaking coastlines, exciting island, enjoy many kind of activities such as snorkeling, diving and banana boat, see the beautiful sunset while having dinner, beautiful beach view of Lembongan island, and visit other island. During this tour you will see beautiful Lembongan island which is famous with exotic of marine life. And you can do water sport activity such as : Scuba diving and banana boat rides. After that, enjoy delicious buffet served after water sport activity. Back from Nusa Lembongan island around 3:15 pm to mainland Bali. Locker, Diving board, 35m water slide. Snorkeling equipment and instruction, unlimited banana boat rides, Lembongan village excursion, Semi submersible coral viewer, lunch, Morning or afternoon tea and snack, Return transfer to Lembongan Bay, Hotel transfer. Tour included: towel, hotel return transfer, high speed ocean rafting, visit Lembongan bay, visit private beach club. The ocean rafting 3 island is do not have a fixed schedule and will vary from cruise to cruise however to maximize passenger satisfaction. 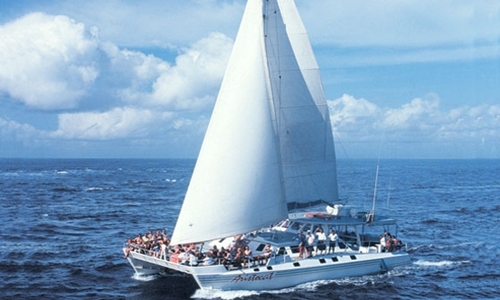 All cruise always include sightseeing of 3 island, snorkeling and high speed cruising. Prohibited to do ocean rafting activities for child under 10 years, pregnant women, people with heart and back problem. Air Condition transfer, morning/afternoon tea and snacks, BBQ lunch in Mushroom bay, snorkeling equipment and tours, Beach / pool games, unlimited banana boat rides, village excursion in Nusa Lembongan, sea kayaks, semi submersible coral viewer and locker. Tour included: Coffe and tea, fruit juices and pastries served prior to boarding. high speed ocean rafting cruise along the coastline of Nusa Dua and Uluwatu, Dolphin spotting off the Bali coast, high speed cruise back to Benoa Harbor, hotel transfer. Tour included: towel, locker, hotel transfer, sail to beach club, morning tea/ coffee and snacks, BBQ lunch on Nusa Lembongan, snorkeling equipment and instruction, beach/pool games, children’s activities, banana boat rides, village excursion, sea kayaks, complimentary soft drink during sailing to Lembongan island, under water viewing chamber, semi-submarine.